Sometimes it’s hard to find presents for everyone on your list. What do you get for your best friend who has everything? Is Christmas a good time for a romantic gift? Does Dad really need another tie? If you’re stressing over your shopping list, have no fear. We’ve got suggestions on what to get everyone on list! From your fabulous mother to your inspiring boss to that person you don’t really know from HR but who always holds the door open for you--we’ve got the perfect gift. 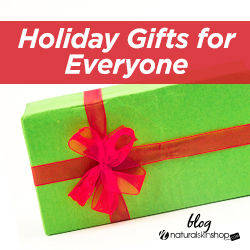 Check out our picks for your top holiday gifts! All moms deserve to look and feel their best! SCULPT Retinol Collagen Anti-Aging Kit uses natural but powerful anti-aging formulas to renew skin and leave Mom radiant. Packed with a serum and cream bursting with collagen-boosting retinol, you’ll see fewer lines and wrinkles, more hydration, and brighter, glowing skin. For most guys, taking care of their skin is a second thought under barbecuing, Fantasy Football stats, and the newest blockbuster movie. But he’ll love the exfoliation and neutral scent of Alpha Light Body Bright Scrub. It can be used daily or as a regimen with his Manly Man Smell Like A Forest products. He’ll get a stimulating scrub and you’ll know he’s doing good by his skin. They’re nothing better than curling up with your significant other. Encourage that closeness by getting them Ganique Anti-Oxidant Moisturizing Body Oil. Luxurious coconut and avocado oils soften and smooth skin, leaving it looking luminous and feeling heavenly. This body oil helps them care for their stressed skin, providing essential vitamins and hydration to to revive skin and protect against damage. They get glowing, healthy skin and you get the softest cuddle partner available. Win/win. Whether you know a skincare maven or a wash and go girl, you can help her perfect her skin with the Refinex Micro-Dermabrasion Pro Collagen Treatment. Containing an exfoliating scrub and nutrient-rich serum, this set is the perfect alternative to a spa resurfacing treatment. The Super Fruit Dermabrasion Scrub can be used weekly for deep treatment or daily to boost collagen and elastic, leaving skin looking and feeling tighter. The antioxidants and fruit extracts in the Super Fruit Collagen Serum plumps and fills lines while refining tone and texture. She’ll have skin looking youthful and radiant all thanks to you. Stocking stuffers should be fun, useful, and small enough to actually fit in the stocking. Introducing: Medyskin Lash Growth Serum! An ideal gift for the women in your life, this serum strengthens lashes, increasing density for a more voluminous look. Skin the high end mascaras that only work for a few hours. You can provide longer, softer, more flirty lashes for a fraction of the cost and all of the stocking stuffer fun. Show your boss even your gifts can multitask with something that moisturizes and provides aromatherapy. Skin Pasion Soothing Body Oil with Lavender has natural oils that deeply nourish the skin while natural lavender calms the senses. It’s the perfect size to keep at your desk or travel along in a bag. Bonus: every time your boss inhales the soothing, stress-relieving scent of lavender, they’ll think of you. Now that’s a gift that keeps on giving. You probably aren’t going to know your Secret Santa’s skincare concerns. You might not even know who you’re buying for! Luckily, everyone can use the gift of moisturization. Hyaluronic acid, found in Medyskin Pure Hydration Hyaluronic Serum, is a natural moisturizer that skin stops producing over time. This serum works to restore that lost moisture, keeping skin soft, plump, and hydrated. It’s something everyone from the most senior partner to the baby-faced intern can use and appreciate. If your significant other is anything like the typical boyfriend, the bathroom is full of bargain shampoo, combined body and face wash, and a complete lack of anything for moisturizing. Guys are often of the mind that if they buy one expensive product (pricey hair gel or luxury cologne), that the rest of their routine doesn’t matter. If you’re trying to keep your beau looking good for the long term, here are some tips to get them to follow you into skincare salvation. Try a product with multiple uses. Guys really love being able to skip a step. They live for 2 in 1 shampoos, combined cleansers, and, hopefully, deodorant/antiperspirant. If your guy is constantly in a rush, try Arganistry’s Organic Face, Hair, and Body Oil. This 100% natural product loaded with organic argan oil can be used wherever moisture is needed. He can throw some in his hair and use any excess product on his face or coarse spots on his body. Bonus: using this product will soften rough hands. All the better to touch you with. Don’t use the term “beauty oil”. There are a lot of great face products to moisturize, reduce wrinkles, and even tone. There’s also a great chance that your guy won’t want to use it if you call it “beauty oil.” SCULPT’s Retinol Beauty Oil and Ganique’s Overnight Renew Beauty Oil are both great choices for powerful skin renewal. A generic term like “face oil” or “moisturizer” (really, will he know the difference?) can mean a visual of soft skin rather than pink bunnies and unicorns. You might love the Aroma Dreams Lavender Massage Oil (to die for! ), but unless he’s rubbing it on you, it probably won’t be in his wheelhouse. He’ll probably be more willing to try something earthy like Arganistry’s Moroccan Argan Body Oil. Get him to try it with you. The next time you’re doing a face mask, ask him to join you. It’s a great bonding exercise and it gives you an excuse to be close. You can even offer to watch Sports Center highlights while you’re waiting. The dark color and masculine packaging of the Medyskin Brightening Mask with Charcoal avoids too much feminization. Or stick Alpha Light Body Bright Wash in the shower and promise to help wash his back and anywhere else he’d like. Find something just for him. Men like products that are designed with them in mind...even when it’s not actually different (man yogurt, anyone?). But with a product like Smooth Groom Beard Oil, your guy knows that this is just for him and his manly facial hair, not something repackaged just to appeal for him. Just subtly remind him that a smoother, nourished beard is all the better for you to feel against your skin. Don’t point out his flaws. No one likes to hear negative things about themselves, particularly from someone they love. Instead of focusing on wrinkles, dry hair, and rough skin, talk up the positives. Remind him how much you love running your fingers through his hair, how good citrus smells on him, and how you love cuddling next to soft skin. If he thinks that better skincare = more close time with you, you’ll get him exfoliating before you know it. As the weather turns crisp and the leaves start to fall, it’s time to pack away the light creams and mists for heavier products to withstand the chill of winter. (But not the SPF! That’s a 365 days a year product.) If you’re not sure which products best suit your new fabulously fall lifestyle, don’t worry --we’ve got you covered. 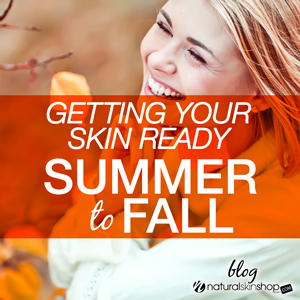 Dry skin is one of the banes of the chillier seasons. The lower temperatures and thicker clothing zaps moisture and leave skin feeling like a shriveled leaf. To avoid the feeling of itchy, tight skin, try Arganistry Shea Body Lotion. This lotion is formulated specifically to target dry skin, with organic argan oil and shea butter working together to enrich the skin. These natural conditioning agents eliminate dryness by locking in moisture and preventing loss of hydration. It is rich in Vitamin E, which calms and softens skin to restore skin to smooth, supple glory. There are few parts of your body more vulnerable than your face--skin has to deal with harsh winds, freezing temperatures, and heating elements that zap all moisture. If you’re not looking forward to wearing a ski-mask all summer, you can protect your skin with Arganistry Maracuja Oil. Argan and maracuja oils quickly penetrate skin to provide hydration to the deepest layers, healing skin from the inside out. Essential nutrients, such as Vitamin C, nourish skin’s health despite the ravaging effects of winter. The result is more luminous, hydrated skin and a glowing complexion. Vitamin C is a key antioxidant--it protects skin from damage, helps to brighten your complexion, and even reduces the appearance of wrinkles. Fall is a great time to invest in Vitamin C renewal--like Medyskin Vitamin C Beauty Oil. It targets sun and UV damage that you accumulated during the summer while fortifying skin against the future degradation that hits hardest in the winter. With intense moisturizers like avocado and rosehip oil, this product continues to hydrate, strengthen and regeneration cells for improved health and tone. A change in the season doesn’t always bring to mind balanced and even skin--usually it’s just the opposite. But using the Alpha Light Skin Bright Mask prepares skin for the changes of the season by exfoliating dead skin cells, moisturizing, and resurfacing skin. With a more balanced appearance and deep moisturizing, you’ll have readied your skin for the harsher weather to come--and allow it to fully absorb the much needed moisture and nutrients. As you get together your fall wardrobe (boot season is the best), don’t forget to swap in these new products to help your skin look its radiant, luminous best all season long. Looking for a skincare pairing for an individual with dry/mature skin? Glycolic peels are best suitable for normal/dry/mature skin and can improve Sun-damage, fine lines, age spots and wrinkles. Alpha Hydroxy Acids are a great alternative to aggressive peels, as they are non-visible peeling acid agents that can stimulate collagen levels, of which is needed to improve dry/mature/sun-damaged skin types. If the dry/mature skin is even further weathered and has deep wrinkles and severe dark spots, the TCA 10% peel would be a more aggressive peel option to tackle those concerns effectively. An effective daily exfoliator for post-peel care is the TCA daily exfoliator. This exfoliator is very effective at maintaining a bright and healthy complexion for a mature/dry/sun-damaged skin. You will want to make sure that you have a gentle daily cleanser such as the Glycolic Cleanser. This cleanser is also required to prep your skin before using a peel kit. For deeper cleansing exfoliation, the Refinex Scrub is an excellent choice for dry/mature/sun-damaged skin types. The Refinex Scrub is full of natural fruit enzymes and will rejuvenate, tighten, and firm skin while boosting collagen and elastin production. This combination of products will be the perfect gift for an individual that would like to see some progressive changes in their aging skin! 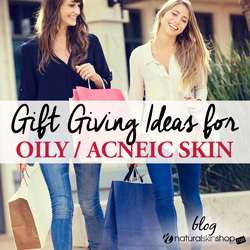 Thinking of a skincare gift for that one in person in your life that is suffering from acne? The Salicylic peels, Jessner peel for the very oily seasoned peel experience type. Both Salicylic peels are best for oily, acne prone skin, reduces oil, and cleanses the pores. Aging skin cells, oil, and debris are removed from the skin’s surface. Sebum follicles are cleansed and improvement of blemished prone skin is shown. Jessner peels are for very oily, seasoned peel experience types that experience mild-cystic acne, acne scarring, and discoloration and are appropriate for an individual who needs more of an aggressive peel treatment. Pre and post-peel care is necessary to prep the skin before a peel. The glycolic cleanser should be used to prep the skin before applying peel prep solution in order to properly cleanse and defat the skin before applying the peel solution. Post-peel care such as the Salicylic and Jessner daily exfoliators are useful for maintaining and enhancing your results in between peels and for keeping acne and blemishes at bay. These acne, blemish, and acne targeting products make a great gift for a starter regime for an individual who would like to get their oily prone skin under control this upcoming new year! 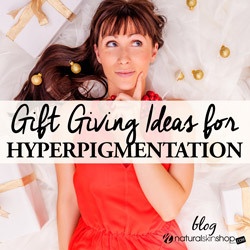 Give a gift that provides powerful color correction to that someone in your life that has hyperpigmentation concerns with the Alpha Light System. The Alpha Light System is a 4-step system that contains a cleanser, exfoliator, serum and moisturizer that contain natural ingredients that assist with clarifying, lightening and brightening the skin tone. Skin impurities that are guilty of causing skin discoloration are targeted by these products Decreased Intensity of hyperpigmentation has been shown over a period of as little as 2 weeks. Optimum results from this system from consistent daily use of this system are shown as in as little as 8 weeks. 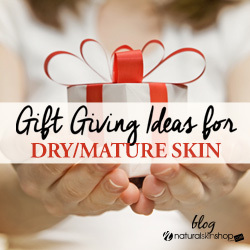 Of course during the course of this gift of improvement skin regime it will pair well with the use of daily skin tone aids that can cancel or enhance skin tones to assist with the evening out of the skin complexion daily. The Kaleidaskin primers are a great addition. Each primer contain a base color that assist with enhancing, cancelling or balancing skin tones. The skin tone is then revitalized and is more luminous. To seal all of these fabulous products into the skin, the Sunshield moisturizer SPF 30 + Anti-aging Peptides should be applied over the top before makeup is applied. The pairing of these three products is a great gift for an individual who would like to take the first step with achieving complexion correction of hyperpigmentation. A goodnight’s sleep is crucial for your skin health. The stress hormone, cortisol is produced when you suffer from lack of sleep. The severity of skin conditions such as acne or psoriasis can be increased due to sleeping poorly. 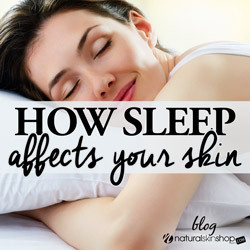 Skin can clear up when you catch up with sleep and therefore skin health can be improved. When the skin ends up inflamed from lack of sleep, collagen and the skin’s natural hyaluronic acid gets broken down which in turn affects the skin’s glow. Sleep improves hydration in the skin and is then rebalanced while sleeping, therefore, more moisturized skin is the result. During a healthy sleep cycle, water in the body is being processed for removal. When the water in the body is not balanced due to lack of sleep, the water can lead to puffy bags and dark circles under your eyes, fine lines,wrinkles, and even dryness. “Get your beauty sleep.” is not just a good old fashion saying, it is a must for glowing and healthy skin! State of the art research is showing that diet does affect your complexion. Acne, hormone balance, and inflammation of the skin can all be subjected by which foods that we choose to eat. These factors are associated with what causes aging. Have oatmeal for breakfast! A whole grain oatmeal is great for the skin because it does not elevate androgen levels of which is a hormone that prompts your body to to create insulin. Foods rich in Vitamin C such as strawberries and oranges can reduce your chance of wrinkles and aged skin. Eating foods rich in Vitamin C daily will fight free radicals of which cause fine lines and wrinkles and damaged skin. Olive oil contains anti-inflammatory properties that soften and hydrate the skin when consumed. Pumpkin contains powerful enzymes such as C, E, and A that help cleanse and hydrate the skin and help neutralize free radicals within the skin. 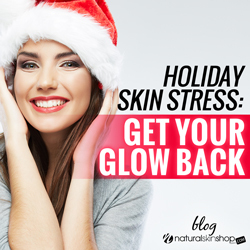 Stress from the holidays can affect your skin in various negative ways. Skin issues such as dark puffy eyes, a dull complexion, and acne are all issues the skin can experience unintently during the busy holiday season. There are ways you can make sure that you preserve your healthy glow right from the start and into the new year with the addition of a few daily skincare products to start preventative care. Add a moisturizer containing Vitamin C and retinol to start to avoid the holiday skin blues. Step up your game by making sure you increase your moisture levels in advance by starting to use a rich emollient moisturizer early in the season. A lack of moisture can result in dark circles, fine lines, and wrinkles and aging skin. Skin care experts recommend changing the consistency of your moisturizers to a richer version of that moisturizer to retain as much moisture into your skin during the holiday season as possible. Cream, gel, or balm based moisturizers are of the best use for the holiday season as they provide a buffer against extreme dryness. Despite all preventative care measures, you are always bound to experience the inevitable puffy eyes, applying a cold pack or cool teabags compresses onto puffy eyes for 10 minutes can greatly can greatly reduce swelling. A gel based nightly/daily eye cream would benefit the eye area by decreasing water retention in the eye area of which causes puffy eyes. Specific undereye primers that reflect the absorption of light also help with concealing left over dark areas around the eyes and help fill in fine lines around this delicate area. You can also distract the eye from dark colored eyes by applying a glow contrast that compliments your skin complexion just over or under the brow bone. You will want to brighten the eye area by applying light eyeshadow colors should be used during the day to achieve a bright fresh day look and to avoid accentuating eye puffiness or darkness. A bronzer should be used along with regular foundation color to help compliment the skin tone to be able to achieve a more vibrant day look. An overall tone primer underneath foundation could also be utilized to further minimize unwanted tones in your finished look for the day. For those skin types who are more acne prone during the holiday season than ever, salicylic acid daily exfoliators and chemical peels are your best bet. Exfoliating regularly is also key to keeping acne at bay at the end of the day to help rebase your skin from experiencing excessive irritation from build from the necessary added preventative products to keep your skin in tip top shape. Intensive, retinol, hyaluronic, skin oils, and age refining serums and moisturizers should be included into your facial prep regime before applying your makeup for the day to help you achieve and preserve your natural glow. Vitamin C- What are the benefits? Vitamin C in the skin declines with age, so topically replenishing these levels directly can help stimulate collagen levels and treat stressed skin conditions such as sun-damage and age spots. Firm and youthful skin are achieved as collagen begins to form and free radicals that affect the skin are lessened after applying Vitamin C topically on a regular basis. Collagen synthesis slows down with aging, Vitamin C rejuvenates boosts synthesis when it is applied. Many people think that ingesting Vitamin C should be just as effective as applying it topically for the skin, but this is not the case because humans and a few other species lack the ability to be able to produce Vitamin C that is so critical for beautiful, healthy skin. 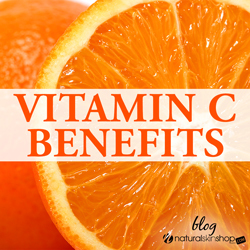 Applying Vitamin C topically is 20 times more effective than ingesting it. Optimal levels are achieved in the skin by just applying Vitamin C for 3 days. Healthy collagen levels are attributed by Vitamin C. Furthermore, hydroxylation reactions involved in Collagen formation are facilitated and gene transcription is enhanced in collagen synthesis. Constantly replenishing vitamin C topically replenishes and rejuvenates the skin and helps achieve healthy younger looking skin. As fall comes to a close and the weather transitions to winter, we all need to ensure that we are equipped with the correct skincare products. 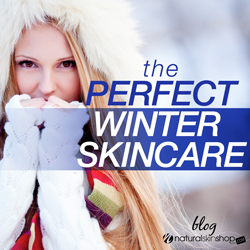 Winter breeds dry skin if the correct adjustments to your skincare has not been altered, as opposed to summer, when we need to keep our oils in our skin balanced, in the winter we need to make sure we preserve a certain degree of skin oils to make sure the harsh weather does not wreak havoc on our face. You will have to make sure you are using a daily/nightly cleanser that is suitable for all skin types that is gentle enough to preserve your skin’s oils to maintain and enhance your skin’s suppleness to keep your skin hydrated. Arming your skincare arsenal up with anti-oxidant based products will enable you to protect your skin from the damaging free radicals that are present in the environment that damage your skin. Powerful anti-oxidants are necessary to use such as a Vitamin C serum. A Vitamin C serum will keep your skin dewy and will help start to diminish sunspots that was accrued during your sunny summer days. A rich moisturizer along with an SPF 30 should also be topped upon the serum to keep your skin deeply nourished and to provide protective layer that is greatly needed in winter. Going the extra mile and adding repairing element to your skincare is also beneficial for your skin during this time of year, a Vitamin A serum will help with making pore size seem less apparent, improve clarity and texture of your skin. This repairing serum should be left on your skin 10 minutes to absorb into the skin before applying any skin oil, serum, or moisturizer. Vitamin A is a natural form of Retinol and is great for keeping fine lines at bay. In addition to repairing additives to your daily skincare regime, this time of year is notably the best time of year to start catching up with deeply exfoliating and renewing your skin. A multi-acid fruit enzyme based chemical peel is best as fruit enzymes cause minimal irritation to the skin and can be applied twice a month. This type of peel is beneficial for all skin types and tones to enhance the skin cell renewal process to produce faster skin-cell turnaround which in turn helps your produce stronger skin that can withstand harsh winter weather conditions. Use the winter weather as a silver lining to repair and deeply exfoliate your skin without having to worry about the sun being an excessive hazard. Prepare your skin to be ahead of the game and seize each season as an opportunity to keep your skin glowing with adding the necessary products to keep your skin at its peak. 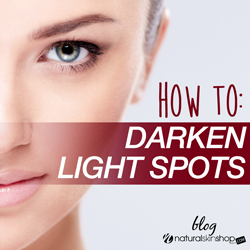 Dark spots from aging, scarring, and sun-damage are very common among most of us. If you ever wondered if you can attempt to achieve a more even skin tone, you can with the correct product direction. The most effective way to treat dark spots to achieve long-lasting results would be with the application of Alpha Hydroxy Acids. These acids specifically target uneven skin tone and discoloration. These acids help brighten the skin over time. Continuous series of treatments are recommended to attain progressive results. Daily products are also recommended to maintain and enhance results. Arbutin based products, also known as an extract of bearberry, is known to prevent the formation of melanin. A consistent series of these AHA based peel treatments and daily consistent use of products are required to see progressive results. As the warm summer season comes to a close and fall is approaching, it is important to change our skin care regimen just like we change our wardrobes seasonally. During the summer our skin care regimen is all about controlling our skin’s oil production and protecting our skin from UV rays. 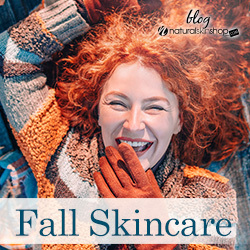 Our fall skincare regimen should consist of daily skincare products that repair sun-damage that occurred during the summer, and also of products that help keep our skin moisturized from the Autumn’s cooler, drier weather conditions. It is common to have rough dull skin build up of skin from the summer. Make sure to start to exfoliate daily to rejuvenate your skin. Whether using a daily acid exfoliator that is specific to your skin type or a daily rejuvenating scrub, both of these methods are great for regenerating new skin cells. Your body should not be ignored! Use an exfoliating scrub in the shower to rid of dry patches before they occur. A creamier moisturizer specific to both the face and body during the day and a rich nightly moisturizer to further the moisture component of your skin should be used after daily and weekly exfoliation, daily and nightly to replenish the moisture back into your skin. Layering products on the skin by applying a serum that helps repair, moisturizer, and nourish after cleansing is also a way to increase the repairing of sun-damage that resulted from the summer season. Leave the serum on for a few minutes to soak into your skin before topping with your daily SPF or your rich nightly moisturizer to seal the serum in. A gentle daily cleanser should be used daily, as using an overly cleansing cleanser could strip all of your skin’s oils during this season which may result in excessive dryness and clogged pores, of which would defeat the change in your skincare regimens whole purpose. Look for a cleanser that removes dirt, makeup and excess oil. A cleanser that works on a variety of skin types is best. Keeping water temperature not too hot is also key to keeping your skin it’s best. As weather gets colder, shower temperatures get hotter, which can be havoc on the skin. If water temperature is too hot it can result in the skin being dry, scaly, and natural oils being stripped away from the skin. If you must have your shower at a hot temperature, make sure that the temperature is reduced to warm if you cleanse your face in the shower. A product that is commonly used less during the fall and winter is primer. Primer should be continued into the fall and winter as it locks in moisture even further between a serum and and SPF moisturizer. 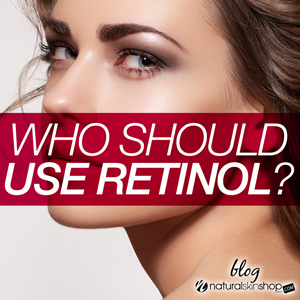 Who should use retinol and what does it do? It is never too early to start using retinol based products. Retinol slows the breakdown of collagen, minimizes fine lines and wrinkles, and treats dark spots. Psoriasis, blotchiness due to sun-exposure, and acne are all conditions that can be treated by retinol. When a retinol is applied, skin cells rapidly turnover, therefore resulting in new cell growth. The deepest layer of skin where wrinkles form is thickened, during the first weeks of use it is normal to experience redness and peeling. Brown spots are sloughed off and the production of melanin is reduced. Consistent daily usage over a period of 3-6 months would be how long it would take to see results. Building skin toleration to retinol is also key, when it comes to achieving most optimum results. It is recommended to start with applying a retinol once every other night as most do experience irritation when first starting retinol applications. If any irritation occurs, it should subside within a few weeks. Sun exposure should be avoided and skin should be protected with at least an SPF 30. Do not combine the use of retinol with products that are made with salicylic acid, sulfur, resorcinol, or benzoyl peroxide. Retinol being used in combination of these ingredients can cause severe skin irritation. Those who are looking for an aggressive topical daily product that are looking to treat fine lines, wrinkles, acne, aged skin, and other conditions should consider Retinol as it is a frontrunner in their skincare regimen. Beauty oil for the skin is all the rage lately with those who are skin conscious. 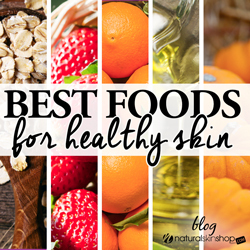 This is because these fruit, plant, and vitamin based oils are capable of locking in moisture, treat fine lines, wrinkles, and can prevent your skin from breakouts. 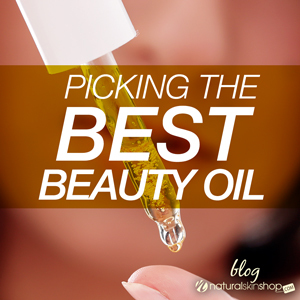 Choosing the best oil for your skin is pertinent to the specific concerns you would like to treat. Oils that contain anti-inflammatory ingredients are best for dry skin types because of their ability to keep irritants out of the skin. When skin is dry, irritants are able to inhabit the skin easily and an oil that is an anti-inflammatory base can help create a shield against free radicals that enter the skin. Hydration is needed to be replenished back into the skin with these oils to build back up a barrier which is also known as the acid mantel, of which is normally non-existent with overly dry skin. Anti-inflammatory based oils can prevent flakiness and treat redness of the skin. A daily moisturizer in addition to this type of serum would be useful to seal the serum into the skin. Anti-oxidant based oils can help benefit normal skin types by helping protect the skin from sun-damage. Damage that is caused by UV rays on normal skin types can be the cause of fine lines, wrinkles, and age spots. These oils also contain anti-aging and healing properties. Not only do these anti-oxidant based oils keep normal skin balanced, they can keep the skin hydrated and give the skin a healthy glow. For combination skin, keeping the skin balanced is key, both anti-microbial anti-oxidant blended oil is essential to protect the skin from both sun-damage and breakouts. Anti-microbial blended oils can help with both hydrating dry skin, while at the same time treating bacteria in oily areas of combination skin types to prevent future breakouts. It is common to think that oil should not be applied onto oily skin types. Oily skin types can benefit from Anti-microbial oils that can destroy bacteria in oily acne prone skin types to help balance oily skin and prevent and treat breakouts.